Welcome to Monday, new week, spring is here and I thought that I would try out something new. 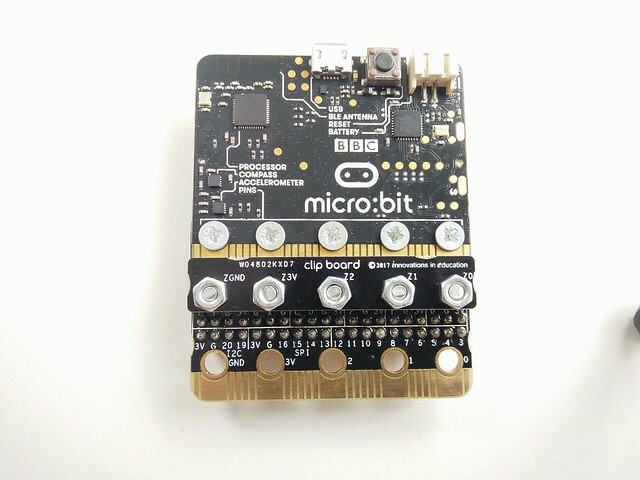 So micro:bit Monday, a semi regular series where I look at an add on, accessory, software for the micro:bit. First up is the zbit:toolbelt. 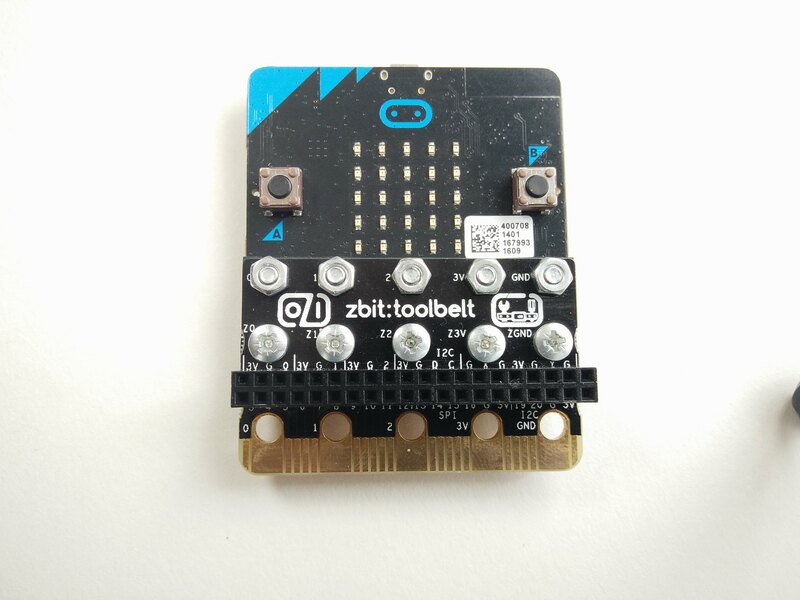 The zbit:toolbelt is an accessory that enables all of the GPIO pins present on the micro:bit to be used via a female header compatible with standard through hole electronic components. Underneath the zbit:toolbelt is the "zbit connector" that works in a similar fashion to zebra connectors for LCD displays. It connects all of the GPIO pins on the micro:bit to the female header breakout. 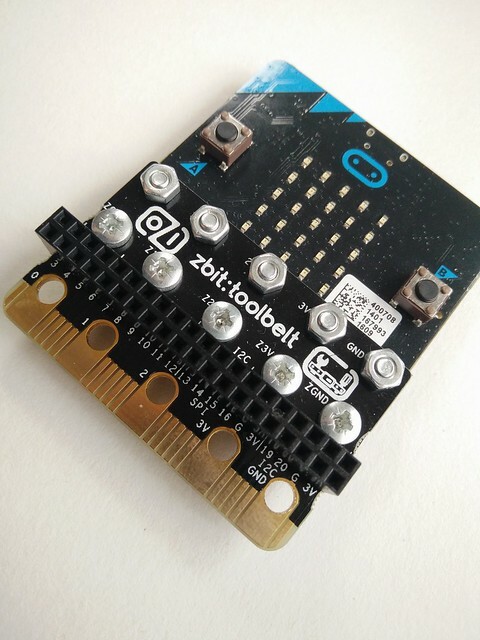 The zbit:toolbelt is mechanically connected to the micro:bit using a series of M3 machine screws and nuts. Assembling the zbit:toolbelt is quite straightforward, requiring only a screwdriver and a soldering iron. The female header provides a connection to every GPIO pin present on the micro:bit along with multiple connections to GND and 3V. SPI, UART and I2C are also broken out. It is very handy. 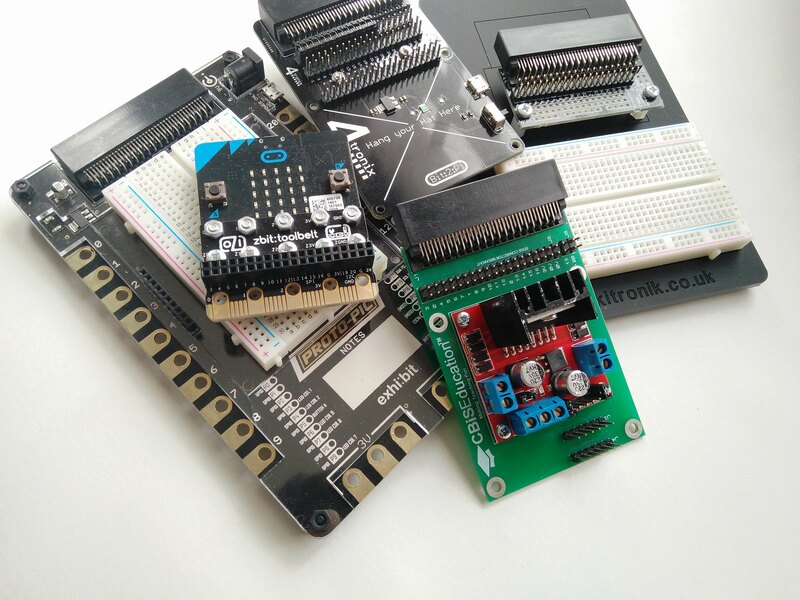 The ability to use standard breadboards and components with the micro:bit means I can purchase cheap components, and reuse that I have already purchased for my Arduino / Raspberry Pi. I use it as a quick "pick up and hack" board for prototyping projects. A fun, practical and portable accessory that enables access to a world of cost effective components.